Freedom from Hunger Day is observed every year on September 28. The observance was initiated by international organization Freedom from Hunger, the first activities relating to this day were held in 2006. Freedom from Hunger is an international nonprofit nongovernmental organization headquartering in Davis, California, United States. The organization operates in 19 different countries, where hunger threatens adults and children: Benin, Bolivia, Burkina Faso, Ecuador, Ghana, Guatemala, Haiti, Honduras, India, Madagascar, Mali, Mexico, Peru, Philippines, Senegal and Togo. Freedom from Hunger Day was observed for the first time in Yolo County on the 60th anniversary of foundation of the organization. September 28 was proclaimed to be a memorial day in the whole state of California. 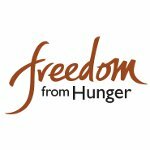 Although observance of Freedom from Hunger Day didn't achieve official status, various information about the hunger appears on the official website of the organization. Every one of seven suffers from chronic hunger or malnutrition in the world. The maximum rate of mortality from hunger is observed in the countries with high population density and lack of natural resources.